Fully tested and restored to factory settings by our in-house technicians. Apple iPad Air 2 in the condition, network and colour selected above. Durable build The iPad Air 2 is technically Apple's sixth generation iPad, and the second to carry the 'Air' moniker. It's slightly thinner than the original Air, but differs little in appearance. With an integrated memory of 128 GB the Apple iPad Air 2 Wi-Fi + Cellular makes storing user data and downloaded content easy. Running on iOS operating system, this Apple tablet offers a variety of handy features, as well as Wi-Fi + 4G Cellular connectivity. 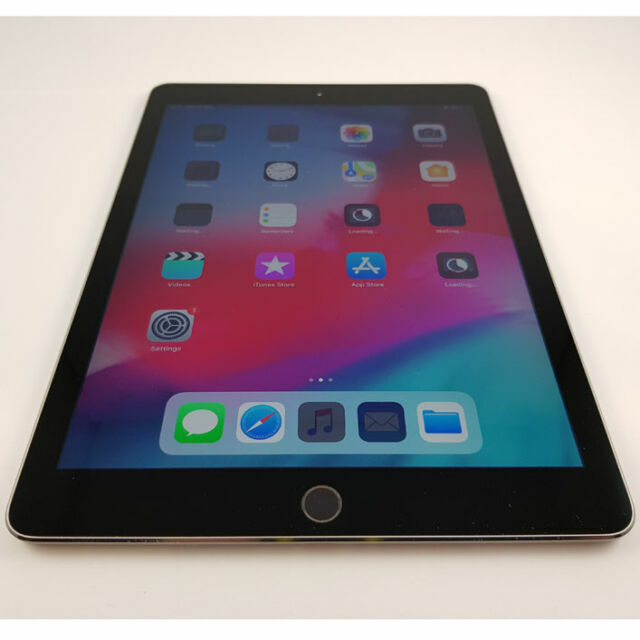 Additionally, this Apple iPad Air 2 weighs 0.98lb (0.44 kg) and comes in space grey color with 9.7in (24.64 cm) display, ensuring convenient usage and menu navigation. This device is unlocked and compatible with O2, Three, Vodafone (UK) and EE Carriers.